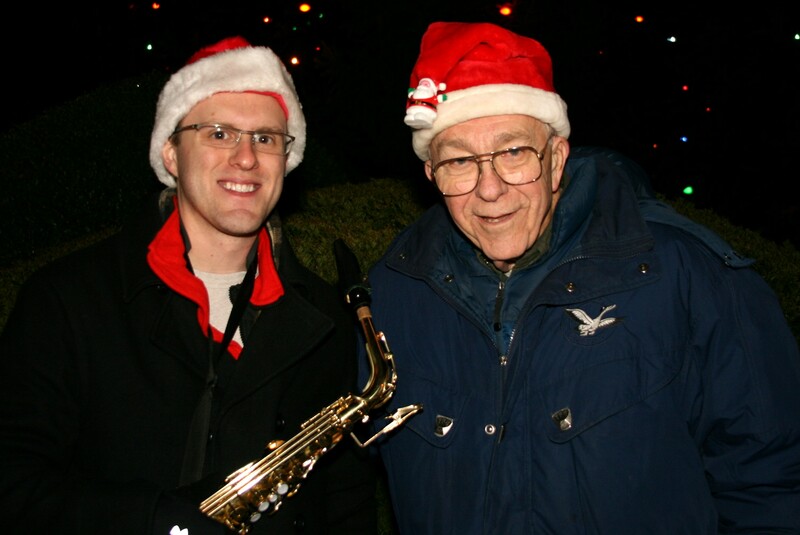 The Rutherford Community Band was founded in 1941 by Thomas Monroe as a musical outlet for adults in the Rutherford community. The band was founded as a summer concert band entertaining crowds on warm summer nights in Lincoln Park in the heart of downtown Rutherford. A decade later William N. Hutzel, a resident and music educator in the town, decided to expand the bands sound by allowing his high school students to play in the band. 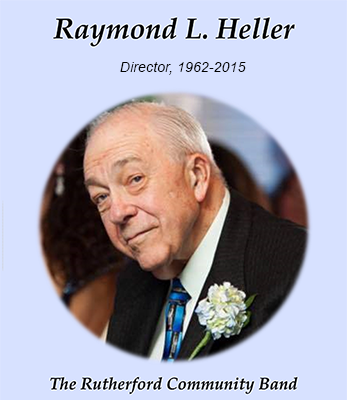 In 1963 Raymond Heller became the third director and established a year round program of Spring and Holiday concerts in the Rutherford High School Auditorium as well as continuing the tradition of outdoor concerts in the park. Raymond believed in the bands outdoor concerts so much he organized the initiative to build the Hutzel Memorial Band shell in Lincoln Park.To this day, the band preforms three summer concerts in the park. Raymond remained the director up until his death in 2015. The band is continuing the tradition set forth by him and has various concerts listed on the CONCERTS tab. We hope to see you at our next concert. The Rutherford Community Band is always looking for new members. No professional experience or training is needed. Just a love for music and whatever instrument you play. We rehearse Monday nights 7:30 P.M. to 9:30 P.M. in the Rutherford High School Band Room. The high schools address is 56 Elliott Place in Rutherford. The building is on the corner of Elliott and Mortimer Avenue. There is street parking. Entrance to the high school for our rehearsal is the center doors on Mortimer Avenue. Read about our latest director by clicking here!